When a manufacturer develops and designs a new vehicle they have to take into consideration all the conditions it may be exposed to and all the driving styles of its potential customers. Therefore they have to average out some parameters and compromise some performance for fuel efficiency. As a result of this, the ECU mapping could not be what you want out of the car as the ECU will not be optimised for your needs, whether that is power or fuel efficiency. The reason for the compromises are to allow the map to take into account potential differing operating conditions and the needs of the average customer. Are you an average customer? You can fully understand why a manufacturer has to account for things such as sub-standard fuels, extreme temperatures and altitude, different emission laws and even the possibility that vehicle may not be serviced on a regular basis. However it is your vehicle, you know what fuel you are putting in, we know the emission laws, you hopefully will keep it well serviced, so why not have an ECU map to match your driving requirements? 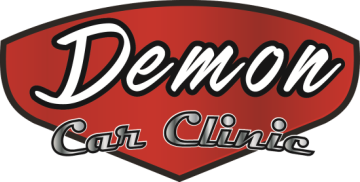 Here at Demon Car Clinic in Derby, we remap your ECU, first we read from the ECU’s processing chip of the vehicles standard compromised map and adjust various parameters within the map such as fuel pressure, boost pressure (on turbocharged applications) ignition advance and throttle pedal control amongst others to release the true performance from the engine. As a result we can optimise the ECU Map for your specific requirements and get the best possible performance from your vehicle. It is a completely safe process as it is just giving the engine the performance it should have had in the first place before all the compromises were applied to the original programming. Every engine will have its own unique map and by adjusting this we can fine tune the characteristics of the engine; unleashing more power and in many cases reduce fuel consumption too. Why not give us a call to discuss the performance you are looking for. We can give you more power, more torque, better fuel efficiency. We have seen some customers save the cost of the ECU mapping on fuel in as little as six months.